On June 20 General Meeting of Georgian Library Association elected a new President (Board chair) - Ms. Rusudan Asatiani, head of department at National Parliamentary Library of Georgia. On 1st of June, 2013 the librarians from all over Georgia were invited to participate in the seminar Strengthening Georgian Public Libraries Network organized by Georgian Libraries Association, Khashuri municipality library and Lithuanian NGO Rural Internet Access Points. According to recent news published by the News Agency „RES“ http://cominf.org/node/1166497765 of the self-proclaimed republic of South Ossetia, government officials of the self-proclaimed republic of South Ossetia visited Ikorta Monastery in village Arcevi and announced about their plans to restore the historical monument. Representative of the so called ‘‘Monuments Protection Division of the Ministry of Culture of South Ossetia’’ talked about the restoration needs of the church and expressed that its restoration project has been included in the investment programme aiming at the socio-economical development of the republic. 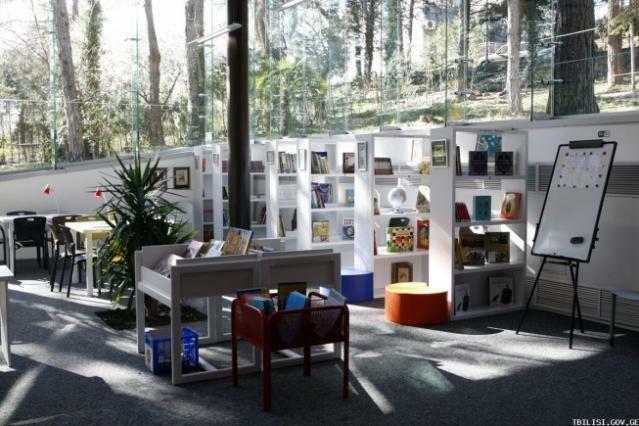 A new library is opened recently in women's prison № 5 type library, which was established in the Ministry of Corrections and Legal Assistance of Georgia and the Norwegian Ministry of Foreign Affairs by the agreement of 2011. 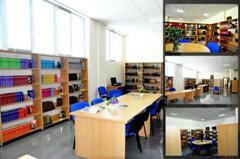 At this stage the library is equipped with more than 3000 books, with a total number of copies more than 7000.